The ongoing power struggle in Venezuela surges as opposition continues to build against Venezuelan President Nicolás Maduro, including from the Trump administration. The legislature's opposition leader Juan Guaidó was sworn in as interim president just two weeks after Maduro himself was sworn in for a second term, following a widely disputed election. The U.S., Canada and several Latin American countries were quick to recognize Guaidó's legitimacy as the country's leader, followed by Israel and Australia in later days. Other countries have threatened to also support Guaidó unless new elections are held within a week, while Russia continues to back Maduro. 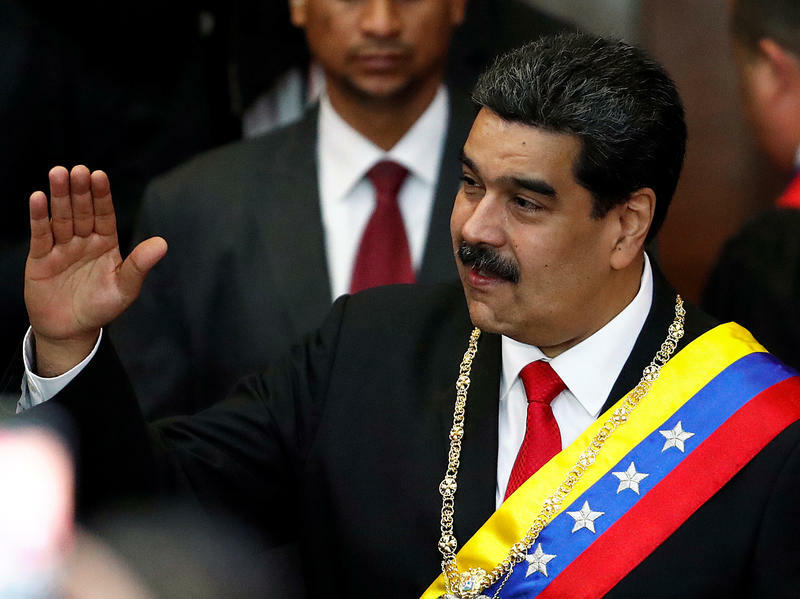 In response, Maduro declared he would sever diplomatic ties with the U.S. On Monday, the Trump administration ramped up pressure by announcing new sanctions against Venezuela's state-owned oil company. A country in crisis, Venezuela is experiencing violence and hunger, with one of the worst cases of economic hyperinflation in modern history. An estimated 80 percent of households don't have sufficient access to food. Millions of residents are leaving for neighboring countries. To keep power in Venezuela, a leader must have the support of the country's armed forces. Will the military remain loyal to Maduro or switch allegiance to support Guaidó? President Trump has not ruled out the use of military force. Should efforts to oust Maduro be considered a coup? What impact could U.S. sanctions have on the situation in Venezuela? Is new leadership the answer to Venezuela's humanitarian and economic plight? What will be the international response if Maduro holds on to power? How will mass protests this week affect the situation? This interview aired on Tuesday, January 29, 2019. If you've been following the crisis in Venezuela only peripherally, the name Leopoldo López must've come as a surprise. It meant that López has, for now, replaced Henrique Capriles, who ran against Hugo Chávez and Maduro in presidential elections, as the symbolic head of the opposition. 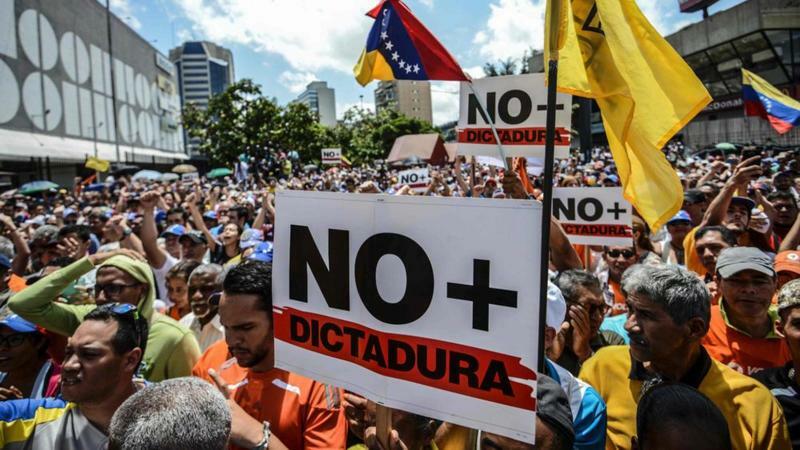 Tensions continue to escalate in Venezuela after results from what many are calling a "sham" election granted a new legislative body the power to rewrite the Constitution. The move is widely seen as a turning point for the oil-rich Latin American country – away from democracy, toward dictatorship. The State Department is ordering "non-emergency U.S. government employees to depart Venezuela," according to a security alert issued Thursday evening. The U.S. Embassy in Caracas will remain open. The alert also advised caution if U.S. citizens are in or traveling to Venezuela. Authorities say 10 people were killed in clashes between protesters and law enforcement in Venezuela on Sunday. The nation's president, Nicolas Maduro, called elections to choose a constituent assembly, which would have the power to rewrite the constitution and more.